Want to stay sharp as a knife? Better get some brain food! The mind is one vital organ that needs its vittles. Without sufficient amounts of protein, carbohydrates, antioxidants and omega-3 fatty acids, you could start to experience memory loss and cognitive decline. In fact, there’s even a new diet — the MIND Diet — that aims to keep your gray matter healthy and happy. To cite one example, a 2010 study published in The American Journal of Psychiatry showed an association between poor diet and the prevalence of depression and anxiety in women. 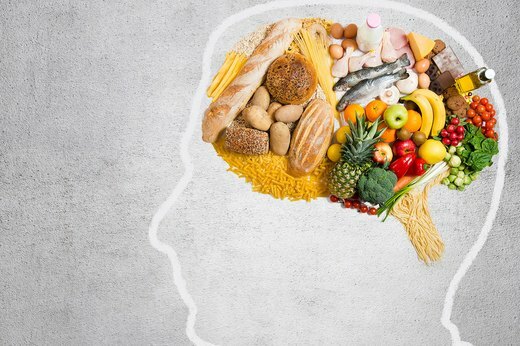 Read on to see nine foods that can benefit your brain. Because it is rich in antioxidants called anthocyanins (which have been shown to help with memory loss), Minh-Hai Tran, a registered dietitian in Seattle, recommends eggplant (with the skin) as a particularly brain-healthy vegetable. 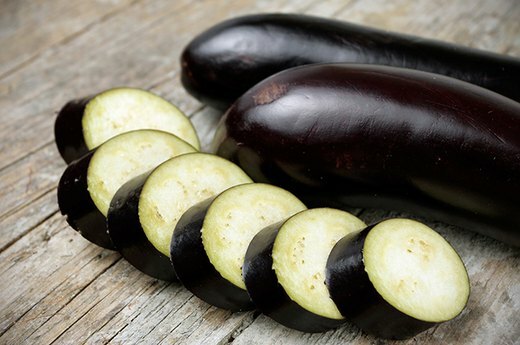 A 200-gram serving of eggplant (about 2 cups, cubed) can provide 1,500 milligrams of anthocyanins, which is a fairly high concentration. Try grilled eggplant seasoned with garlic, rosemary and olive oil on toast for a brain-boosting treat. You can also broil, steam or even microwave eggplant stuffed with other veggies for a healthy alternative to a stuffed baked potato. 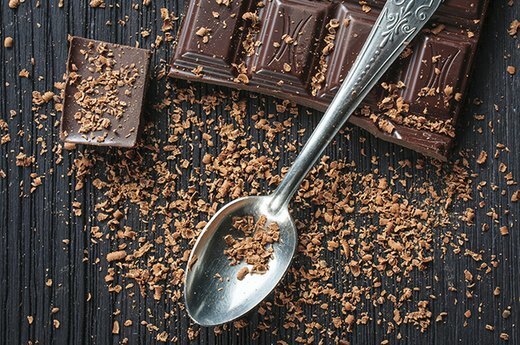 Eating a modest portion of dark chocolate may provide immediate brain-boosting benefits. In a study published in Physiology & Behavior in 2011, 30 adults consumed dark chocolate (rich in flavonols) before taking visual and cognitive tests. One week later they took the same tests after consuming white chocolate, which lacks the flavanols found in cocoa. Researchers found that consuming dark chocolate improved participants’ cognitive performance, spatial memory and reaction time. Cocoa flavanols may also improve blood vessel function in your brain, according to an International Journal of Medical Sciences report published in 2014. For the most flavanol benefits, choose the darkest chocolate available. Aim to choose one that is at least 70 percent cacao. 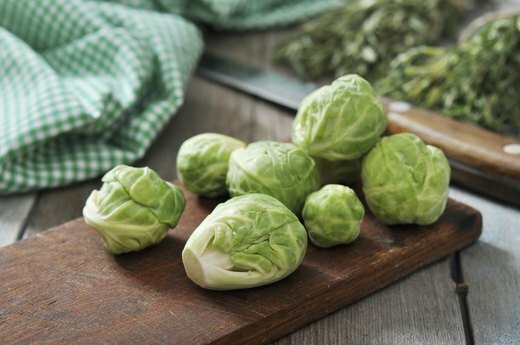 Cruciferous vegetables like broccoli, cauliflower, Brussels sprouts and cabbage are rich in sulfur-containing compounds, which may help protect the brain from everyday oxidative stress,” said Minh-Hai Alex, a registered dietitian. In a Harvard study, researchers found that women who ate cruciferous vegetables had slower cognitive decline compared with those who just ate fruits or vegetables. Broccoli specifically is a prime source of the antioxidant vitamin C, which is vital to the brain, and beta-carotene, which researchers think could play a role in brain function. Cruciferous vegetables have also have been linked to a reduced risk of stroke. Eat cruciferous veggies raw, lightly steamed or grilled with a small amount of olive oil. Avoid overcooking, which can lower nutrient levels. Adults with mild cognitive impairments who consumed blueberry juice for 12 weeks were better able to perform in word-recall tests, according to a small study published in the Journal of Agricultural and Food Chemistry in 2010. 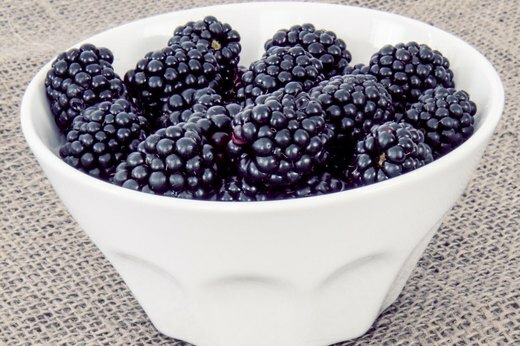 Research also shows that the polyphenols, which are a type of antioxidant found in brightly colored fruits such as berries, may improve memory capabilities and delay the onset of dementia by reducing inflammation and damage caused by toxins called free radicals. Add fresh berries to your breakfast cereal, smoothies and baked goods for added flavor and brain-protective nutrients. Because frozen fruits often are flash-frozen at their nutritional prime, unsweetened frozen berries provide a nutritious and convenient option when berries aren’t in season. Whole grains contain more protein and fiber than refined grains, making them more likely to keep your blood sugar level, energy and mental sharpness stable between meals. Research published in The Journal of Nutrition in 2009 showed that whole grains may also play a part in delaying cognitive decline. In the study, researchers analyzed the eating habits of 3,634 adults age 65 or older for 11 years. 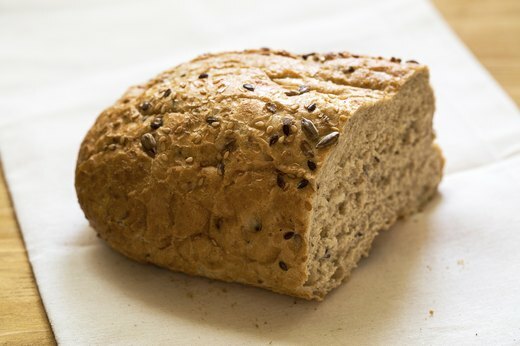 They found a significant link between eating more healthy foods, including whole grains, and reduced cognitive decline. These benefits strengthened over time. For potentially similar perks, swap out processed starches such as white bread, enriched pasta and pretzels for whole alternatives like 100 percent whole-grain bread, brown rice and air-popped popcorn. 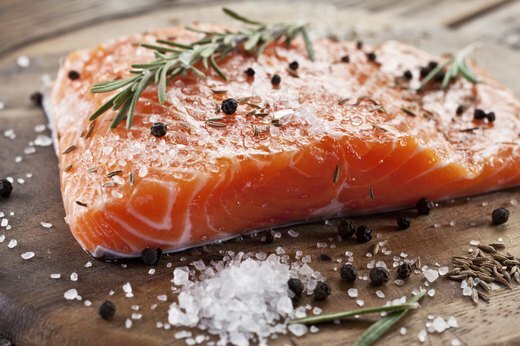 Regularly choosing fatty fish such as salmon, sardines and halibut may bring your brain health up several notches. “Fatty fish contain omega-3 fatty acids that are necessary for optimal brain function,” said Barry Sears, a scientist and president of the Inflammation Research Foundation and creator of the Zone Diet. “They provide building blocks necessary for making and maintaining new neuron formation and are important in reducing inflammation in the brain.” New research presented at Experimental Biology 2014 found a risk association between low levels of omega 3s, specifically eicosapentaenoic acid (EPA), and docosahexanoic acid (DHA), and cognitive decline. Healthy cooking options include grilling, baking or poaching fish seasoned with natural herbs and spices, citrus juice and a touch of olive oil. Nuts are satisfyingly crunchy, and they’re also rich in potentially brain-protective compounds such as vitamin E, folate, omega-3 fatty acids and antioxidants. 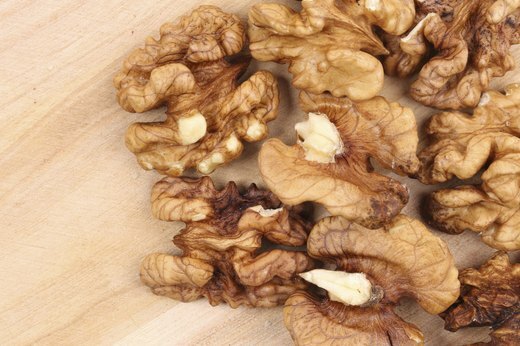 A preliminary study published in the British Journal of Nutrition in 2011 revealed that a diet supplemented with walnuts produced an 11 percent improvement on inferential reasoning tests in young adults. To gain the health benefits of nuts without going calorically overboard, the Academy of Nutrition and Dietetics recommends consuming 1.5 ounces per day and using them to replace less-healthy, calorie-dense foods like candy and potato chips. 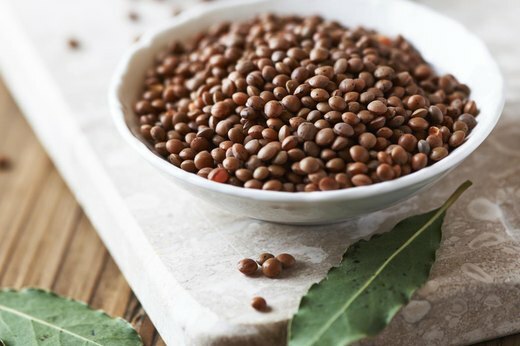 Legumes such as split peas, lentils and beans are rich in fiber, protein and antioxidants. They may also help your brain stay sharper longer. A 2012 study published in the Journal of Nutrition Health and Aging involving 5,691 illiterate elderly adults in China linked consistent intake of legumes and vegetables with a lowered risk for cognitive decline. For added benefits, replace the meat in recipes such as chili and lasagna with legumes because they’re essentially free of saturated fat and have no cholesterol. Other nutritious legume dishes include steamed soybeans, lentil or black bean soup and hummus-topped cucumber slices. Reaching for green tea with minimal or no added sweeteners instead of sugar-and-caffeine-laden sodas and energy drinks may boost brain function. “Green tea contains a class of antioxidants called catechins that may help prevent cognitive impairment,” said registered dietitian Minh-Hai Alex. 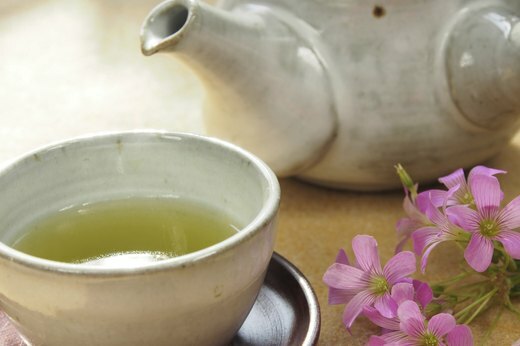 “It also contains an amino-acid-like compound called theanine that’s been found to help lessen anxiety and promote a relaxed wakefulness by stimulating alpha brain-wave activity.” To avoid anxiety and other effects of too much caffeine, drink green tea in moderation or stick to caffeine-free varieties, particularly if you’re sensitive to the stimulant. ← Man Eats 2 Tbs of Coconut Oil Twice a Day for 60 Days and This Happens to His Brain!